Hello everyone Dr. Kenny here, if you are one of our medical weight loss patients you know that my mantra is “Losing Weight Should be Simple, Easy, Delicious and Fun. So with that being said here are a few more weight loss recipes that are definitely delicious and should help you achieve your weight loss goals of losing 2 – 5 pounds per week. In my recent post of recipes on our website I have been giving you lots of weight loss recipes for weight loss smoothies and shakes in addition to regular appetizers, entrées, desserts and even snacks. 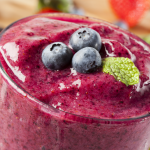 The reason I have been posting so many smoothie recipes is because the majority of our patients are asking for quick and easy weight loss smoothie recipes because they do not have enough time for a regular breakfast first thing in the morning. It just seems that everyone is always in a rush nowadays and there is never enough time to take care of yourself. Most of the men I know are literally working 24/7 and most of the females that I know are also working 24/7 in addition to taking care of their children, getting them ready for school in the morning and then they head out to work or to take care of whatever responsibilities they have to attend to for the day. So to me it seems that females have an even more difficult time taking care of themselves as compared to men. Now if you are man please do not be upset with me for saying this. I am a man, so this gives me the privilege to make such an observation. Honestly though, this is how it is in my house. I do try to help with household chores and with the children but the majority of my time is spent in the office taking care of our wonderful patients. While my wife is taking care of the children, getting our youngest off to school in the morning and giving him a good healthy breakfast (because we know that young minds need good healthy food to fuel both their bodies and their brains to do well in school); in addition to this she also takes care of our three dogs and her parents. Not only does she do all of this but she also manages our offices and actually answers the phone and schedules the majority of appointments in our office. So when you call the office and if Elyse answers the phone you now know that she is my wife. My wife is an amazing woman and she gave up her career in Pharmacy in order to stay at home and raise our three children and help us build our wonderful practice. So with all of this being said I know that women have a multitude of responsibilities and are not always capable of spending the time to take care of themselves. And that is why our weight loss program is designed to be simple, easy, delicious and fun and does not require you to exercise a multitude of hours each and every week. Sorry! Sometimes I have a tendency to run on a bit LOL. But I am just very appreciative for the woman in my life and all the other woman in the world who are usually the backbone of their family and as such society. Now! Here are the delicious weight loss recipes. This is going to be a smoothie that is designed primarily for burning fat. 1/2 cup of fresh or frozen blueberries. 1 small apple, remove the core. 1 hand full of kale. 4 – 6 ounces of unsweetened almond milk, hazelnut milk or any other type of nondairy milk. 1 tablespoon of flax seeds. 1 – 2 packets of Stevia. If you are not using frozen blueberries you may want to add 1/2 – 1 cup of ice to make it nice and frosty and refreshing. Now we just combine all of the ingredients into a blender and blend until it’s nice and smooth. 2 cups of cooled brewed green tea or any other type of tea. 1/2 avocado that is peeled and pitted. ½ of pink grapefruit that is peeled and seeded. Or instead of the dates you could use 1 scoop of our Solutions4 protein powder that is totally sugar-free and packs the right amount of protein to get your body fat burning. Combine all of the ingredients into a blender and blend until it is nice and smooth.This recipe is taken from the book “The 10 Day Green Smoothie Cleanse” That is written by Jennifer Smith , However I did modify the recipe by adding flax seeds and substituting our protein powder in place of the pitted dates. If you need help with losing weight please call us for your free weight loss consultation at 215-821-7336. Again please remember to call us at 215-821-7336. This entry was posted in diet doctors, Diet Doctors in Bucks County, Diet Doctors in Philadelphia, Medical Weight Loss, Weight Loss, Weight Loss Recipes and tagged "Philadelphia Diet Doctor", Appetite Suppressants, Medical Weight Loss Bucks County, Medical Weight Loss Philadelphia, phentermine philadelphia, philadelphia, weight loss, weight loss pills on March 12, 2015 by Dr. Michael Kenny.